In Australia, if a bank account lies dormant for 6 years (no deposits or withdrawals), it will become unclaimed. If a person owns shares that pay dividends, and have not received or deposited their dividend cheque, the dividend amount will become unclaimed money. If a person has changed jobs frequently, they may have money in a number of superannuation (retirement) accounts. This may end up as lost super. Why is There So Much Unclaimed Money? The reason why there is so much is because most people do not know it exists. Many people do not believe that they could ever forget where they put their money. Even those that have heard of unclaimed money often don’t know how to locate and retrieve it – especially elderly people who are computer illiterate and have never used the Internet. There are a few money-finding companies who search official unclaimed money databases and send unsolicited letters to people offering to help return their money in exchange for hefty commissions. Often these letters look like scams and people toss them in the garbage. I discovered unclaimed money in 2001 after a family member received such a letter. Since then, I have recovered over $8000 for family and friends. Each of the following websites belongs to a different government agency (state and federal) and has a search facility. If you know of any other Australian sites, please send a comment. If you have a maiden name, or if one of your parents or ancestors changed their name, check for that as well. If you have lived in different areas, this is quite obvious, but this should also be done if you haven’t. Let’s say you live in NSW, you may want to check Victoria and the other states as well. If you owned shares in a public company, their registered office or share registry may be located elsewhere and they will lodge money with the departments in that state. There’s no better way to make yourself popular than to make another person wealthier. Helping other people retrieve their unclaimed money could be considered better than charity, as you are merely reuniting a person with money they already earned and everyone’s dignity is maintained. Best of luck to you, and if you do recover some money, maybe you can buy me a beer! Have you forgotten where you put your money? 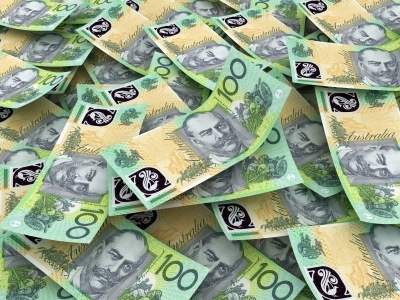 Australians have over $500 million dollars in unclaimed money held by Government departments around the country, waiting to be claimed.